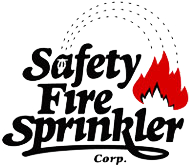 Safety Fire Sprinkler Corporation has a proud tradition of excellence in the fire safety industry. We put nearly 20 years of knowledge to work to ensure you get the exceptional results you demand and deserve for your fire sprinkler system and standpipe needs. We service all fire safety needs including design, new installations, monthly fire safety inspections, fire code compliance, hydrostatic fire sprinkler testing, fire sprinkler repair and other fire protection needs. We proudly serve the NYC area. Our reputation for excellence is widely known throughout New York from Manhattan to Brooklyn, Queens, the Bronx and Staten Island. We believe in offering excellent work at a fair price and with our experienced staff, prompt 24 hour service and a “customer-first” philosophy, you can rest assured you’ll get what you paid for. Our work speaks for itself and our customers speak for our work - with word-of-mouth endorsements and continual referrals. Whether you’re in Brooklyn, Manhattan, the Bronx, Queens or Staten Island, we can meet your fire sprinkler system sales and service needs. Our team of fire sprinkler and standpipe specialists takes pride in designing and installing the right building sprinkler system for you. From sprinklers to fire sprinkler repair, we leverage our extensive experience to give you results. For peace of mind, a dependable partner in fire protection safety and a name you can count on,call Safety Fire Sprinkler today. Your building and your budget are safe with us! 2011 © Safety Fire Sprinkler Corp All Rights Reserved.